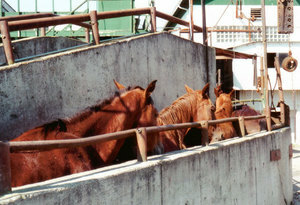 Animal Welfare and Protection "Where the Candidates Stand"
McCain was one of 34 cosponsors of the proposed Horse Slaughter Prevention Act (2005), which would ban the slaughtering of horses for human consumption. He has also cosponsored bills to ban the interstate shipment of birds for cockfighting and to stop the poaching of bears by ending the trade in their gall bladders and other viscera. In 2001 McCain cosponsored a U.S. Senate resolution that restated its opposition to commercial whaling and its support of efforts of protect whale populations. Obama joined McCain as a cosponsor of Horse Slaughter Prevention Act. He also sponsored an anti-horse-slaughter bill and voted for at least a dozen animal-protection measures in the Illinois state senate. In response to a questionnaire from the Humane Society of the United States (HSUS) he pledged support for almost every animal-protection bill currently pending in Congress. In a speech in January 2008, he said: "I think how we treat our animals reflects how we treat each other, and it's very important that we have a president who is mindful of the cruelty that is perpetrated on animals." Obama is considered neutral on conserving and recovering endangered species because he believes the Endangered Species Act (ESA) "has not always worked perfectly." He strongly supports the ESA's goals but thinks the act needs to be updated and that new initiatives are needed to "move beyond rigid ideological positions so that we can reach consensus on the right solutions." Obama opposes the Bush Administration's proposal to limit the input of independent government scientists in some endangered species reviews. Palin expanded Alaska's aerial predator-control program, in which wolves are shot from aircraft and bears hunted from aircraft and killed upon landing. The program is intended to boost the numbers of caribou and moose in the state so that more can be killed by hunters, many of whom are urban or nonresident. 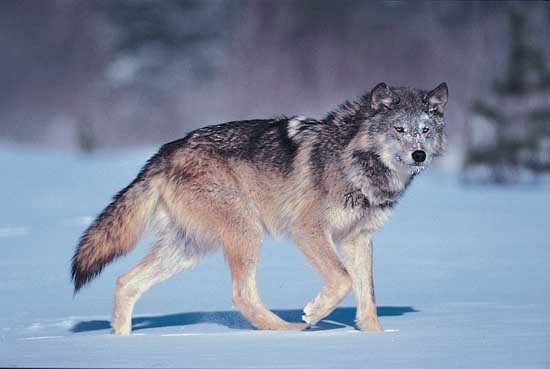 In 2007 her administration offered a $150 bounty for the left front leg of any freshly killed wolf. Palin's administration used $400,000 in public money for an "education" program designed to defeat a 2008 state referendum that would have banned the aerial hunting of wolves and bears. Palin opposes the proposed federal Protect America's Wildlife (PAW) Act, which would ban hunting from planes and helicopters. Criticizing the legislation proposed by CA congressman George Miller, she said: "Moose and caribou are important food for Alaskans, and Rep. Miller's bill threatens that food supply. Š Rep. Miller doesn't understand rural Alaska, doesn't comprehend wildlife management in the North, and doesn't appreciate the Tenth Amendment that gives states the right to manage their own affairs." Palin's administration sued the Interior Department to overturn its decision to list polar bears as threatened by global warming; the listing would have restricted or prevented oil and gas exploration in areas inhabited by the bear. Although the U.S. Geological Survey predicted that loss of summer sea ice could lead to the demise of two-thirds of the world's polar bears by mid-century, including all of Alaska's polar bears, Palin claimed that the models of global warming on which the secretary's decision was based were "unreliable." She also asserted that a comprehensive review by Alaska state scientists had concluded that the listing of the polar bear was unjustified. In fact, however, state scientists had reached the opposite conclusion, as revealed in email messages obtained through public-record requests. Palin did not publicly release the state's report. Palin opposes the listing of Cook Inlet beluga whales as threatened because it would harm the energy economy of the region. "I am especially concerned that an unnecessary federal listing and designation of critical habitat would do serious long-term damage to the vibrant economy of the Cook Inlet area." 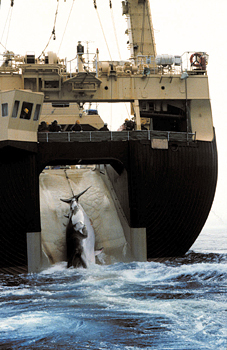 Biden cosponsored the U.S. Senate's anti-whaling resolution. He has been a longtime friend of animal welfare in the Senate, receiving high marks year after year on the HSUS's Humane Scorecard. In the current session of Congress Biden has cosponsored measures to stop horse slaughter, to increase penalties for animal fighting, to ban the possession of fighting dogs and attendance at dogfights, and to call on Canada to put an end to the annual harp seal hunt. He has consistently supported increased funding for the enforcement of the Animal Welfare Act and the Humane Methods of Slaughter Act. In 2008 Biden sponsored a resolution that expressed the sense of the U.S. Senate regarding the need for the United States to lead renewed international efforts to assist developing nations in conserving natural resources and preventing the impending extinction of a large portion of the world's plant and animal species. Biden has been a firm supporter of the Endangered Species Act. "Throughout my career," he stated in 2008, "I have stood firm to protect the habitat for threatened species and wildlife and have successfully fought efforts to roll back the Endangered Species Act."